Improving quality of life can be a waltz! Recent studies reveal an increasing number of health benefits from dancing – particularly for dementia sufferers. 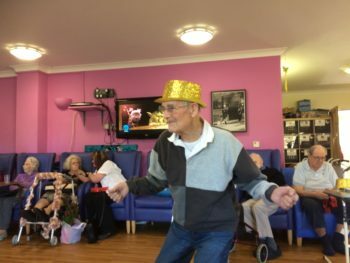 Clifden House, a leading dementia care centre in Seaford, advocates dance as a therapy. Dance, in any form, not only requires physical movement but also involves important cognitive stimulation. The mental and physical coordination required to dance stimulates several regions of the brain. Nial Joyce of Clifden House said, “Life doesn’t have to stop with a dementia diagnosis. Finding fun and active activities liked dancing is proven to improve well-being and is a great way to take part in light exercise, provide cognitive stimulation and promote social interaction with others. For dancing there must be music. The positive effects of music on dementia suffers is well-researched and documented. Music and song is easier to recall than other memories for people with dementia. 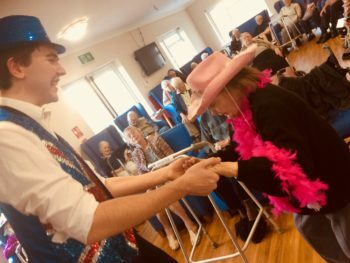 The specialist dementia care centre provides a huge range of music, song and dance activities on a weekly basis. This variety helps decrease anxiety, improve well-being and generally lift the mood of all it residents.